Although cinema holds many useful purposes in modern society, perhaps its most important function is its ability to generate empathy, and ultimately, to foster social change. In the last century, film has played a vital role in shaping important social movements, from In the Heat of the Night to Philadelphia and beyond. Now, film’s utility as a vehicle for social change is being threatened, and the culprit is America’s corrosively divided culture. In case you haven’t noticed, movies aren’t just movies anymore. They are political footballs. Cinema has become infected by the same talking-head syndrome that has corrupted our news and our politics. Few citizens can truly watch a movie with an open mind; rather, they read about a film’s politics before they see it. Then, they pick sides, dig in, and blindly defend their positions, making the kind of life-changing experience a great film can provide impossible. Look at Selma and American Sniper. The former is a passionate docudrama, the kind of movie that usually wins all the Oscars, but because of its hot-button subject matter, it has become a political prize to be fought over. Historians, former presidential staffers, and op-ed writers have argued that the film badly miscasts Lyndon Johnson’s role in the eponymous march, while supporters of the film have been forced to go on the defensive. Of course, they are not really arguing about Selma. Selma has simply become a theater where we can re-enact our racial divisions. Of course, Selma has a political intent, so we should not be surprised it has engendered such partisan passion. 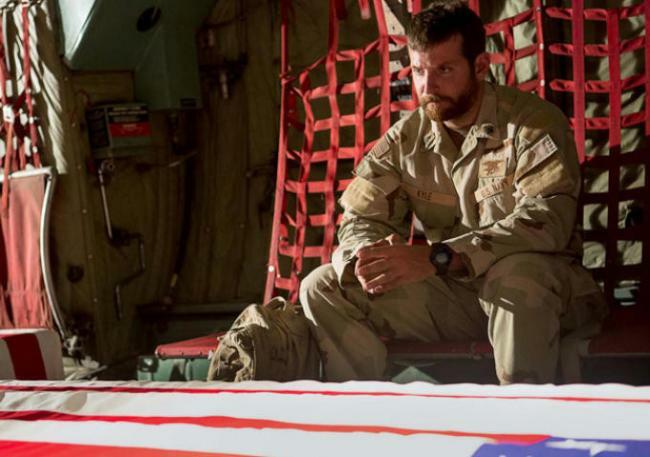 American Sniper is perhaps a more egregious case, if only because the film itself is so intentionally ambiguous. Showing real-life sniper Chris Kyle’s experience in Iraq and subsequent trials with post-traumatic stress disorder, director Clint Eastwood employs his famously laissez-faire approach to great effect. There is no overt political statement. We see the war only through Kyle’s eyes – including both his ugly, racist statements and his near-pathological need to protect – which should generate empathy and provoke thought about the experience of war. Why can’t these critics, pundits, and politicians see the film for what it is? Because they are blinded by ideology, a phenomenon for which there is a real scientific basis. A fascinating study carried out at Yale in 2013 showed that political ideology can distort a person’s most basic processes, even their math skills. The authors asked people to assess a series of numbers associated with the effectiveness of a skin cream; then they gave them a different set of numbers with the same proportion and associated them with gun control, comparing crime statistics in cities that had banned handguns to those in cities that had not. Unsurprisingly, the subjects distorted the gun control numbers more, and the authors explained this as an evolutionary imperative; increasing one’s standing in his or her community is arguably more beneficial to survival than knowing the truth. In this case, it is easy to see how partisan pundits could benefit from a well-written take down or defense of a controversial movie, more than they could for a nuanced, thoughtful exploration of its ideas. Though we may lament the hyper-political readings of these films, we should also recognize that they are nothing new. The Birth of a Nation engendered similar controversy all the way back in 1915. After word got around that President Woodrow Wilson disapproved of the film’s depiction of the Ku Klux Klan, director D.W. Griffith himself wrote letters to the newspapers defending the film. Okay. It’s true that pressure from progressives has encouraged movie studios and (more often) television executives to create vehicles that speak to minorities rarely depicted onscreen. Socially progressive television shows like Orange is the New Black, Jane the Virgin, and Transparent are necessary corrections to decades of under-representation for African-American women, Hispanics, and the transgender community, respectively. Those are real victories, but there is no evidence that anyone’s mind is actually getting changed. Are social conservatives going into Transparent with an open mind? Or are they simply watching Duck Dynasty instead? Maybe the flaw of Rosenberg’s theory is this: If everyone wins, then no one is being challenged, and society is not actually progressing. In other words, no one wins. This hyper-politicization of pop culture does, of course, not exist in isolation. In fact, it’s part of a significant socio-political trend. Liberals and conservatives have learned for decades to huddle in their own camp. Whether from the geographical and cultural self-sorting (documented in Bill Bishop’s 2004 best-seller “The Big Sort”) or the increasingly partisan nature of our mainstream news outlets, there are few places left where we can enter a political debate with an open mind and receive information that could actually impact our values. Although art, and film in particular, has always offered great opportunities to shift our collective consciousness through thoughtful analysis and discussion, nowadays, we simply do not have a place where serious public conversations can occur. Witty, sarcastic comments? We’ve got Twitter for that. Long-winded political arguments that accomplish nothing? Check the thread on your latest Facebook status. Partisan bickering? Cable news will do that for ya. Our public intellectuals have turned into pundits. Our news has turned into a series of shouting matches. 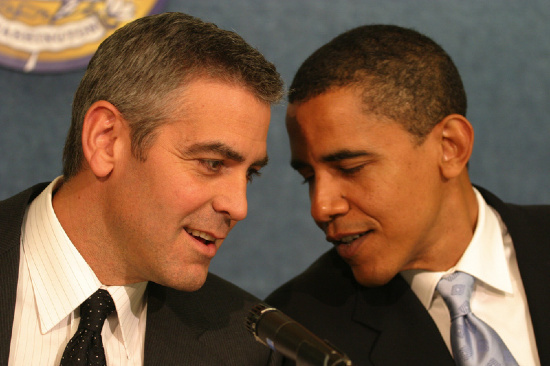 Our politicians have turned into actors, and our actors into politicians. And now, finally, everyone has turned into a film critic, with pundits, veterans, bloggers, and journalists of every stripe weighing in to celebrate or dismiss works of art that call for contemplation instead. And perhaps their ultimate judgment is still ahead. The political controversy over Selma and American Sniper is likely to cost them at the Oscars. Neither is predicted to win much, despite their overwhelming success with critics and audiences alike. That’s okay. Oscars don’t determine a movie’s legacy. If they did, Paul Haggis’s Crash would have a much better reputation than it does today. Nevertheless, there is an impact. For the most part, movie studios like to avoid political controversy, especially when the film in question is an Oscar hopeful. Neither Selma nor American Sniper is predicted to win much this year. Once studio executives learn that hot-button political content actually makes them less likely to win awards), they may think twice before green-lighting a project like it again, (although American Sniper’s massive box-office haul makes it a rare exception). Movies are already becoming too safe and generic, and the Oscars were one of the last places serious, thought-provoking films could go to find an audience. If that goes, too, we’ll only be left with a movie industry that cares about pandering to the lowest common denominator and avoiding even a hint of controversy. In other words, cinema for idiots.